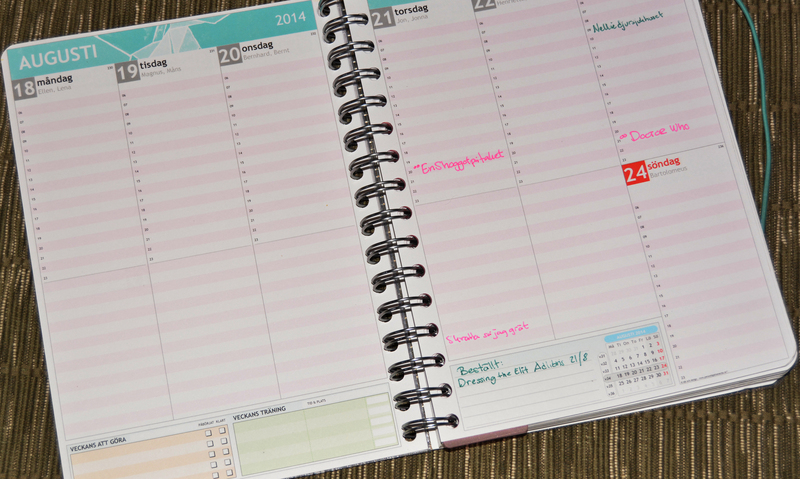 Last spring I got fascinated with the filofax, so I tried it out as an agenda. 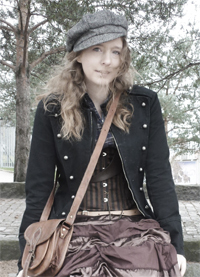 And I watched endless of youtube-videos on people making theirs amazing, but for me it did not really work. The pages were to small and it was hard to write with the big binder. So I thought I tried something different. 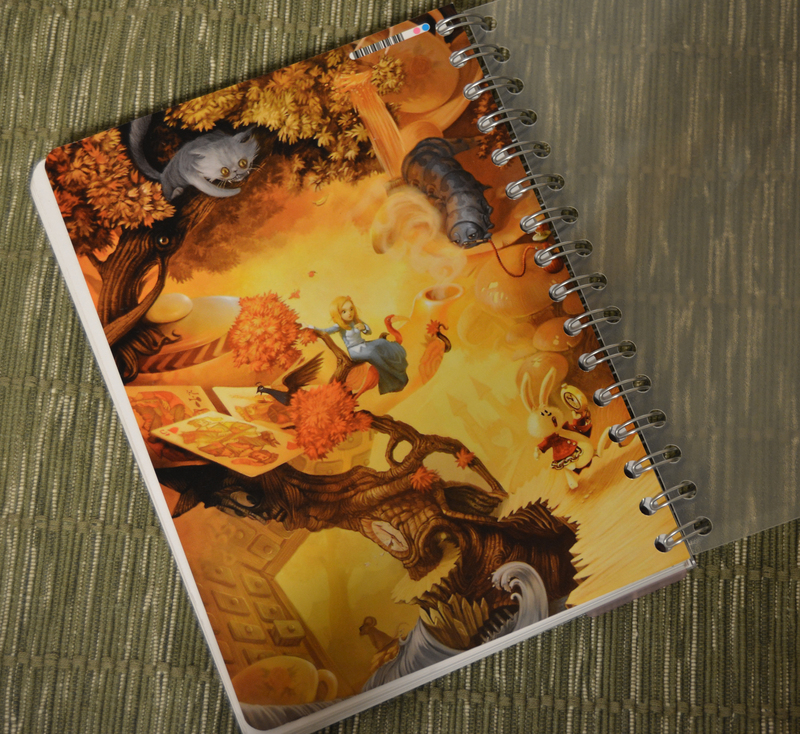 I have ordered from before from a page named personal planner where you can design your own planner. 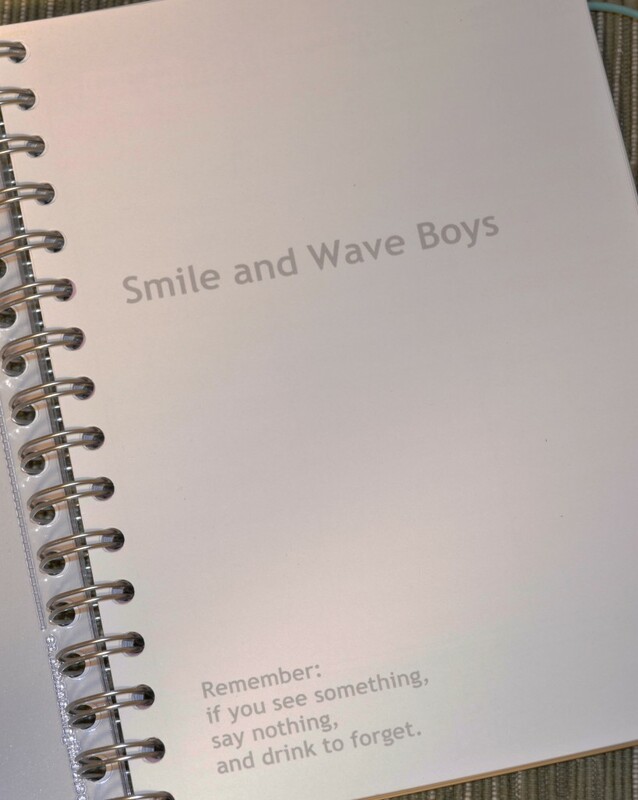 Or not the entire planner, but have a custom front and back, inner pager and decide colours and elements inside. 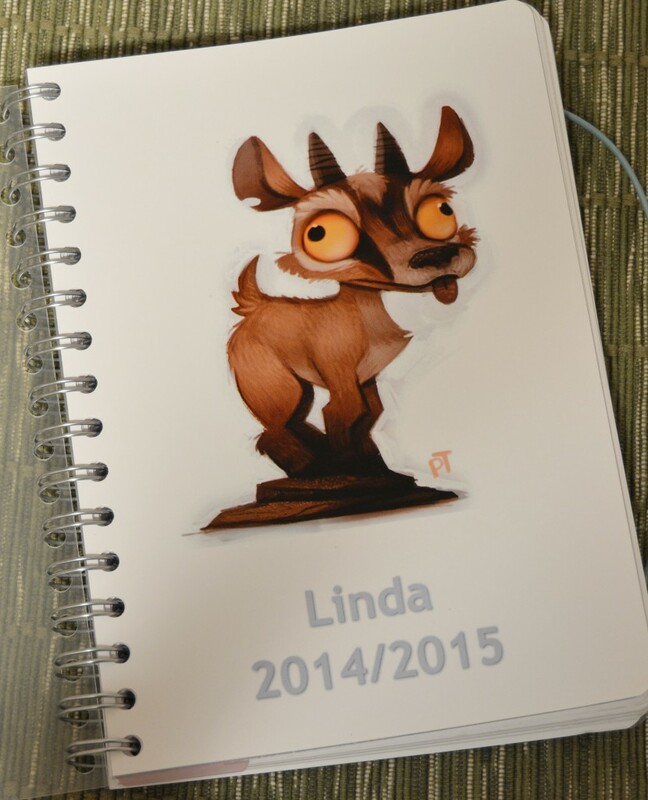 So this is my planner, I chose a goat as a frontpage, as I lover goats and I get really happy of this picture! Innerside, can you get the references?? Inside elements, you can choose the top banner, colours and in the bottom to the left is a to-do-list, middle is ”weeks exercise” and on the right is just for notes.